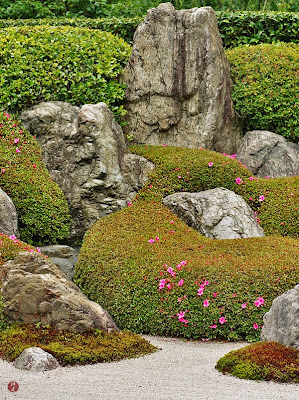 Stones are living things in the gardens of Zen. 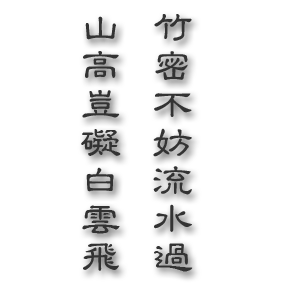 They are the essential and aesthetic components for expressing the peaceful worldview of Buddhism. Although they are immovable, they are changeable and continually changing depending on seasons, weather, the lights of the sun and other surroundings. The stones are always altering their appearances and meanings. They are beautified with fresh green leaves and vivid flowers in spring, shine in the bright sunlight in summer, are blanketed with colorful fallen leaves in autumn and are covered with snow in winter. They are silently and firmly sitting here and watching over us in this uncertain and transient world like enlightened mentors of Zen.